This is a Poster. We acquired it in 1991. Its medium is screenprint support: white paper. It is a part of the Drawings, Prints, and Graphic Design department. This object was catalogued by CGC. It is credited Gift of Peter Bradford. 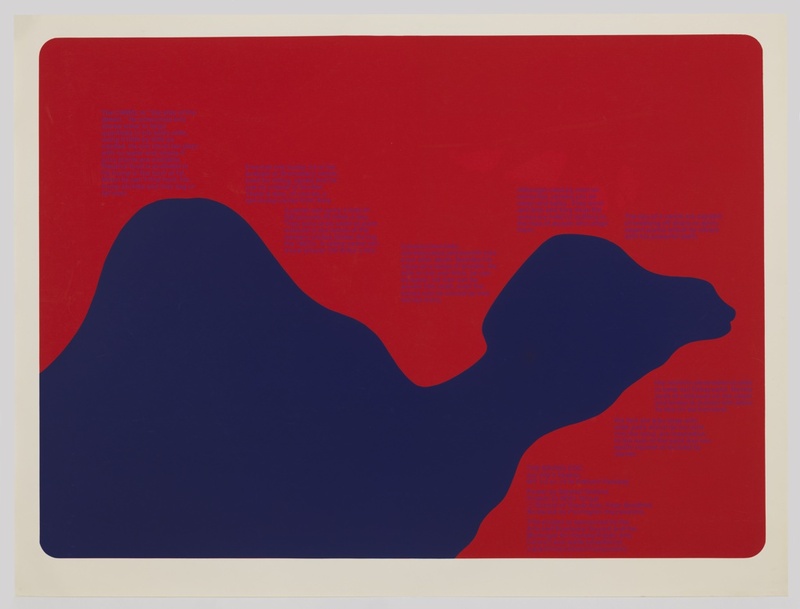 Screenprinted in purple ink on red at LR:THE BRONX ZOO/ our city's keeper/ .../Poster by Stewart Siskind/Project by M351 Group/ School of Visual Arts,Peter Bradford/ Screened by Purrington Impressions/...; at UL: The CAMEL is"the ship of the/desert." He consumes and/stores water in large/quantities in his body cells,/...;factual text in purple ink across recto of poster.